to check out press and public reaction. Our church worked with homeless men. Join Steve next Tuesday at 7:00 p.m. at Shepherd of the Hill Presbyterian Church. Irony of Ironies: MLK and Syria? The same day America honored the 50th Anniversary of the March on Washington most remembered for Dr. King’s “I have a dream” speech, America’s first black President appeared on the Newshour to discuss military strikes in Syria. Martin Luther King, Jr. was as deeply committed to peace and to NON-VIOLENT, non-military solutions to global problems as he was to ending racism. As his analysis of the national, international, and human condition continued to develop, he became an outspoken critic of the Vietnam War, capitalism, and imperialism. He grasped as well as any public figure of his time the institutional power of an unelected, undemocratic web of the economic-military-corporate power at work behind the scenes of American public life. I was proud of President Obama’s speech from the same spot where where Dr. King had stood 50 years before at the March on Washington. I can’t put that together with his entertainment of military action in Syria. For whatever reason, the media did not seem to notice the incongruity. Last night’s PBS Newhour featured a conversation about the advisability of “punishing” Syria. University of Chicago Professor John Mearsheimer’s statements, in my opinion, hit the nail on the head. “Stay out militarily.” Click HERE to listen to the conversation. The military-industrial-technological-corporate complex feeds of mistakes like Iraq and Afghanistan. Martin Luther King, Jr. never lunched on their food. Nor should we. My younger son is gay. For 12 years he’s been in a committed relationship in New York. He doesn’t want to get married. He just wants for anyone who chooses the covenant of marriage to have that choice. He just wants to live his life. In 1978 students at The College of Wooster began “coming out” to me in the safe space of my office at The Church House”, the campus ministry center that housed the offices of the College Church, Westminster Presbyterian Church. 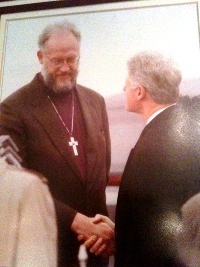 I served the dual role of Pastor of the church and Pastor to the College of Wooster. Dr. Violet Startzman, the physician at the College’s Health Center, came home with the results of a three-year study on homosexuality commissioned by the General Assembly of the Presbyterian Church (USA). Westminster sponsored public forums, adult studies, and less formal conversations about the core finding of the study: same-gender orientation is not a choice; it’s part of the natural spectrum of human sexual attraction and love. It was in that context that previously fearful or confused students shared in the privacy of the pastor’s office and found affirmation. They were active in the college church. They were ordained (student) elders on the church board. My story since then is complicated, more so than I would like it to have been, in retrospect. Pastors are teachers and educators as well as advocates. Those of us who seek to minister to a congregation wear the mantle of conflicting responsibilities of conscience, patience, unity, and advocacy. We are first and foremost rabbis (teachers). Teaching is different from preaching, although the good preacher is also a teacher. And teachers begin by respecting their students, no matter what their views are on a given subject. Each of us perceives the world through eyes that see what experience has taught us to see. When my son came out to us, we were grateful. Grateful for his self-knowledge. Grateful for his trust. Grateful that a (not-so-secret) secret was no longer a secret. So very grateful and proud of who he was as a young man and all that he had done and stood for. Now, today, I am in Minnesota. He is in New York. 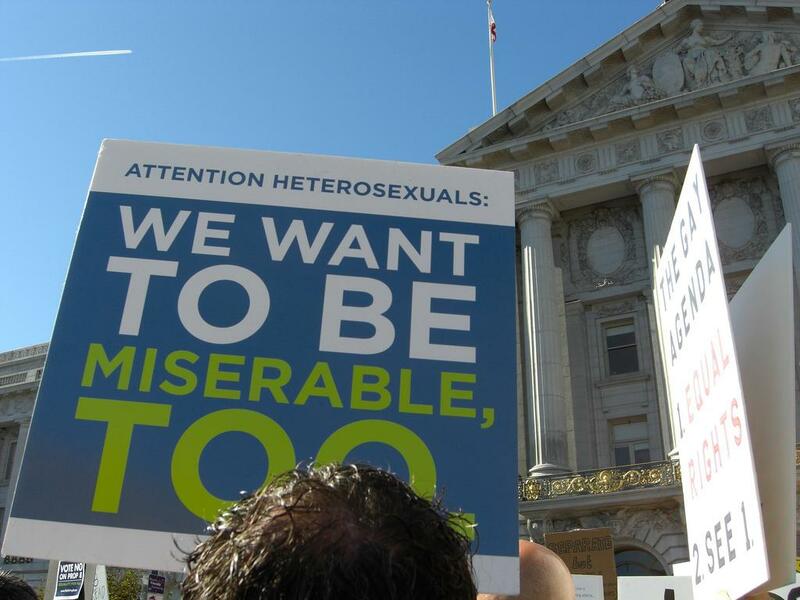 I, like him, am grateful that there is one more state in which he can choose whether or not to be married. Ever want to say OUT LOUD how you REALLY FEEL and why … without self-censorship? Carolyn sent this to every Senator who voted against “gun safety” in the U.S. Senate. The Second Amendment to the Constitution was written by men whose notion of “gun” was a musket needing reloading after each shot. With your recent votes on gun safety, you represented the interests of manufacturers of guns and ammunition, and voted against the safety of Americans, as well as against the expressed wish of 84% of us. You also spit on 26 graves in Newtown, CT, and on those of many, many thousands of other victims of gun violence. You put forth high sounding phrases, and tell lies about the effects of the bills, but we know that your sole motivation was and is to keep collecting legalized but still immoral bribes from the gun manufacturers and to keep the votes of those few Americans who either think serious differences of opinions are best resolved by violence or threats of violence, or the subcategory who think they some day may need to solve differences of opinion with our democratically elected government by armed insurrection — that is, treason. To be sure, very many (not all) Senators bury their dead consciences before taking the oath of office, and you are clearly one of the many who did. Therefore it behooves me to remind you that you should be heartily ashamed of yourself. Carolyn and I went to Kindergarten together. Our families were closest of friends. She is now retired from the University of Pennsylvania Music Library, well-versed in the do’s and don’ts of ascribing motives. Carolyn is also VERY polite; her speech is routinely moderate and carefully considered, but she decided on this one to throw caution to the wind. When you look at the fact that the 45 U.S. Senators who voted against “gun safety” received in excess of $8,000,000 in campaign contributions from the NRA and gun manufacturers, it’s hard not to go where Carolyn went. These Senators know that the Second Amendment would not have been breached by the bill sponsored by their two courageous Senate colleagues who chose to do the right thing despite their A ratings from the NRA. 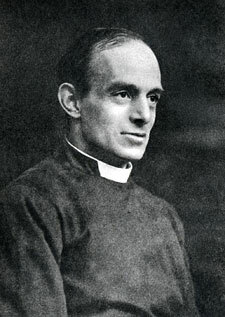 G. A. Studdert Kennedy (1883-1929) by the battered troops of the British forces to whom he ministered in World War I. The name came from the “Woodbine” cigarettes he gave to the troops. Woodbine Willie grew up among the desperately poor. He had two great passions: the church and social reform. He never winced and, oh, how he was loved by what were then known as “the common people.” He was a fighter for social justice and human rights, but he also advocated civil conversation, what he called “a plane” upon which people of differing views and good conscience would come together to resolve a problem. Think about the current national debate in the wake of the tragedy at Newtown. MINNPOST published “In the 2012 race for the White House, Is religion fair game?” this morning. Click THIS LINK to read the piece on MinnPost.com. September 5, 2012 – 8:21am. but you’ve overlooked the obvious. This nation was founded on the principle of religious liberty. The Declaration of Independence mentions God four times and describes the uniqueness of America in that, unlike Europe, where power flows from God to the Throne to the People, in America “we are endowed by our Creator” … power flows from God to the people and then to government. The issue of religion in this campaign hasn’t been about whether the Mormon practice of tithing is one this society should consider adopting (“If 10% is good enough for God it should be good enough for government.” – Romney gave $4 million to the church last year) or whether Obama’s connection to black liberation theology and its demand for “social justice” is compatible with a free society. No, it’s been more basic than that. When Paul Ryan reminded us in his acceptance speech that “our rights come from God,” leftwing websites and TV talking heads took issue with that. Some even expressed outrage as if they’ve never read the Declaration. They insisted that our rights come not from God but from Government! And as if to formalize their party’s transition to secular humanism this week, we’ve learned that the democrats have removed any mention of God from their party platform. So the discussion of religion IS fair game in this election, but not in the minutiae that you suggest, but whether the majority of the citizenry even understands that our founding was based on religious liberty and inalienable rights and is codified in the Constitution that exists to protect them, because frankly, Reverand, I’m beginning to doubt it. Is religion fair game this campaign season? Is religion fair game in the campaign for the White House and in American electoral politics generally? The question put to John Fitzgerald Kennedy in 1960 about his Roman Catholic faith led to a long period when a line was drawn between religion and politics. Religion was a private matter; politics was a public matter. Aside from the occasional story about church attendance and Jimmy Carter’s statement about lusting in his heart, religion in the White House and in American public life was considered off the table of public scrutiny. Questions about candidate Barack Obama’s religion in the campaign leading to the 2008 election changed that. The attacks came from two sides. One attack alleged that Sen. Obama was a secret Muslim; the other doubted the genuineness of his Christian faith and insinuating that he was a secret Marxist. After the one-minute excerpt from one of Rev. Wright’s long sermons went viral on the internet and on the evening news, the question was whether Sen. Obama agreed with Mr. Wright that on 9/11 “the chickens had come home to roost.” Religion had suddenly re-appeared from the shadows of American public life. The Obama campaign stumbled at the development but quickly recovered when the candidate himself dissociated himself from Rev. Wright’s views and effectively articulated his own to the satisfaction of the American people, followed by a masterful speech in Philadelphia about race in America. In the 2012 campaign for the White House, do we consider religion as fair game for the public’s right to know, or are we better advised to return to the 48 year hiatus between 1960 and 2008? Mr. Romney is a Mormon, a leader in The Church of Jesus Christ of the Latter Day Saints (LDS). One can argue that his religion should not be a factor in voter decision-making. The distaste of the impugning of John Fitzgerald Kennedy’s fitness for office led, in part, to a hands-off position. Religion in American public life is regarded as a question of one’s preference of cuisine. It’s a matter of personal taste. Religion is about opinion, not truth or reality itself; one person’s opinion is as good as another. For some of us, all that matters is that a person be “religious,” while, for others, religious adherence represents a failure of intelligence. But for all of us in America, tolerance is the virtue that glues together a pluralistic democratic republic. We are not a theocracy. We are a pluralist society where personal freedom is honored, especially in religion. Is there not, however, something missing in a complete divorce between religion and politics? More than that, the idea of the divorce is based on a shallow definition of religion as professed creed rather than beliefs one practices daily in personal and public life. There is an underlying “civil religion,” as Robert Bellah described it, which binds Americans together. At the core of it is the conviction, spoken and unspoken, that the United States of America is the exception to the way of history: the rising and falling of nations. America is the exception. We are proud people. We love our country. Whether or not it is spoken aloud, the ideas of the chosen people and the city set on a hill –a peculiar nation with a manifest destiny to bring light to the rest of the world – is the central belief of American civil religion. It is a peculiar unexamined and mostly un-articulated rip off of the biblical call to Abraham. The allusions to it are mostly between the lines. Sometimes, as in electoral campaigns, it is actually said out loud, and in such times we get to ask whether that is what we Americans really believe…about ourselves, about other nations, and about God. Listen to the speeches. The idea of American exceptionalism (the idea of singular “election”) runs like the mighty Mississippi through the justifications and rationales for American religious, economic, and military expansionism from the earliest days of westward expansion to the “pre-emptive war” in Iraq and the crusade to bring democracy to the Middle East. Anyone who disagrees is a pagan, part of an Axis of Evil. The subtle and not so-subtle synthesis of religion and politics that comprises American civil religion has always been a fact of the American ethos. In that sense, religion is always at work in American public life. The only question is whether we are willing to re-examine what we believe as a people. Institutional religion and the American civil religion alike inform, shape, and sometimes determine how a candidate will exercise the duties of elected office. Gov. Romney, a Mormon, and President Obama, a Christian, will represent their parties on the November ballot. The question for the American electorate is not whether the candidate is Mormon, Christian, Jewish, Muslim, or none of the above. The question is how the candidate’s religious beliefs inform how he will conduct domestic and foreign policy in a world increasingly suspicious of America’s belief in its unique divine call and destiny. The Oval office is where those dreaded decisions are often made. On the road to the White House, President Obama has discussed publicly how his faith plays itself out in public policy. Governor Romney has yet to discuss with the American people how his deepest beliefs will inform the exercise of his duties of office, should he be elected President in November. The closest one gets to hearing or seeing his core beliefs are the frequent moments when Governor Romney deflects a question by proclaiming how great a country this is and telling us how much he loves it. Which may be a clue to what he most deeply believes. We won’t know until we ask. Nothing better fits the ideology of American exceptionalism than Mormonism, an American-centric religion that sees the Americas as the geographical center of history itself: the location of humanity’s origin in a real Garden of Eden alleged to have been in the State of Missouri and the place where Christ will come again at the Second Coming. Human history – from the beginning to the end – is a peculiarly American story. America is Alpha and Omega, holy ground in a profane world. Such a view explains, in part, why the Church of Jesus Christ of the Latter Day Saints is the fastest growing religion in the United States. It puts in the open the unspoken doctrine of America civil religion that sees America as God’s chosen people. A great fear of people from other nations and cultures is whether the American people will elect whichever candidate for the U.S. Presidency shouts “Yes” the loudest. Galileo challenged the anthropocentric belief that the sun revolved around the Earth. The church found him guilty of heresy. The question now is whether we will continue to believe the myth that the world and the universe itself revolve around America. Every four years we Americans have the opportunity to reflect critically on what we do and do not want to say about ourselves, our neighbors, and the Divine. A thoughtful, vigorous debate, led by a dogged free press, offers the best hope for an electorate prepared to meet the complex challenges of the world in the 21st Century. The world is watching, and the planet itself is waiting to see what we do. Religion, in the broadest sense, is not only fair game. It is the game.